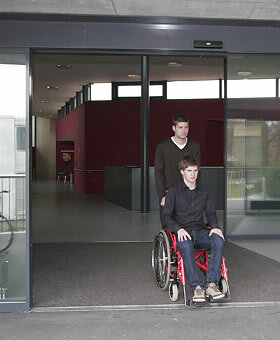 “Doors which are never noticed.“ Putting this TORMAX theme into effect removes some of the restrictions encountered by handicapped people in their daily lives. The new generation of door drives keeps this promise. Barrier-free access is an important concern. We have therefore specially written a planning file on this subject for architects and designers in order to provide them with a powerful tool for the design and construction of obstruction-free automatic door systems.